(By Raheel Adnan) Update  Jul 29, 2013 07:23 am EDT: The death of both climbers is confirmed, now. With reference to details coming from Base Camp, the home team confirms that both Marty and Denali Schmidt have been killed by an avalanche. The two will remain on the mountain, they loved and respected. Update  Jul 29, 2013 04:22 am EDT: Meanwhile, New Zealand's Ministry of Foreign Affairs and Trade spokesman said officials were yet to confirm the pair had been killed. See more below. 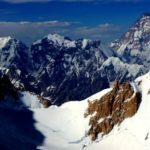 Update  Jul 29, 2013 03:47 am EDT: Adrian Hayes, with the full co-operation and agreement of Australian team leader Chris Warner, reported from K2 Base Camp this morning that Marty Schmidt and his son Denali have been killed by an avalanche on K2. See details below. Jul 29, 2013 01:27 am EDT:Around 21 climbers with Sherpas and high altitude porters left BC on July 24th, hoping to reach the summit on 28th. 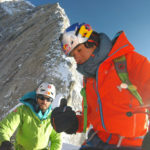 However, excessive snow and avalanche risk forced everyone, but two climbers, to retreat from C2 and eventually abandon their climbs for this season. It was reported that Kiwi father/son Marty and Denali Schmidt continued climbing to C3. Now, from Japanese Expedition's recent report, it appears that the two climbers, who were still on the mountain, are missing at the moment. 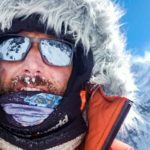 As per Alpine Club of Pakistan press release, Marty and Denali safely reached C3 (7400m) before contact with them was lost in the afternoon of July 26th. It's reported that on July 27th, a Sherpa was sent up from BC to investigate the matter. The Sherpa reached C3 on July 28th afternoon, but couldn't find the two climbers in the Camp. The tent seemed damaged, apparently after being hit by an avalanche. It's said that climbers' ice axes and crampons were intact. 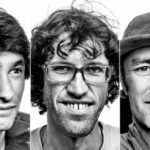 Search for the missing climbers is expected to resume today (July 29th). 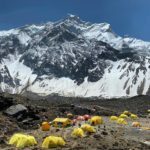 "K2 Update- Tragedy discovered at Camp 3 as avalanche kills New Zealanders. Our fears on the fate of New Zealand mountain guide Marty Schmidt (53) and his son Denali (25) – who climbed up from Camp 2 to Camp 3 last Friday as we all returned to Base Camp due to the dangerous snow conditions - was sadly confirmed last night when two of our Sherpas reached Camp 3 to find it wiped out by an avalanche. 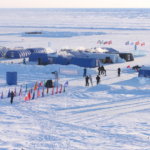 As Marty’s last radio communication took place Friday night from the camp, the avalanche almost certainly occurred that night as they slept in their tent. 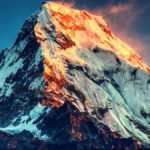 The deaths of a father and son is a tragedy in itself but compounded even further by the fact that Marty and Denali (pictured climbing to Camp 2 last Thursday) - who were great people that we all got to know very well in the close knit community of K2 Base Camp - were very well known, highly experienced and extremely strong mountaineers, the last people many would expect to be killed on a mountain. Sadly, at times the mountains do not differentiate between ability and experience, least of all K2. 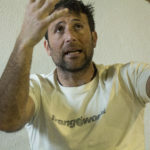 The poignancy of the tragedy is not lost in that, had the rest of us not turned back that day - including Marty and Denali's Australian team mate Chris Warner - we also all would have been sleeping at Camp 3 when the avalanche struck. In mountaineering, there is often a very thin line between life and death and here was yet one more occasion. 6 teams came down and are alive and well, one team went up and is tragically dead. On behalf of all of us remaining at Base Camp, our sincerest condolences to their family and may Marty and Denali rest in peace. Posted with the full co-operation and agreement of Chris Warner." 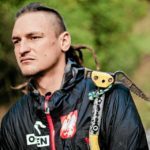 Macpac, the outdoor equipment company that has sponsored Marty's climb, has posted a note that they received reports telling Marty and Denali are missing on K2 since the afternoon of July 28th. "At this stage, we have no further information to bring to you apart from speculative reports, however we are using all contacts within our power to uncover more information and we believe a search is underway for them." Meanwhile, New Zealand's Ministry of Foreign Affairs and Trade spokesman said officials were yet to confirm the pair had been killed. 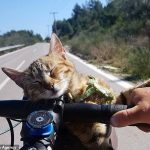 This article will be updated as further details arrive. Eye witness reports from Everest camp 2: the attacks were brutal May 2013: [Marty] saw a man getting ready to bring a large rock down on Simone's head to kill him. Marty grabbed the rock and the man's arm and shouted “no, no violence.” For his intervention he received a rock to the head himself..."
Everest Final Release "...This was a terrifying moment; we all realised that there was no room for discussion but that they wanted to fight. Marty SCHMIDT burst through the crowd of Sherpas towards the first Sherpa who had picked up a rock..."
ExWeb interview with Adrian Hayes: "K2 is serious business"
Adrian Hayes: "The deaths of a father and son is a tragedy in itself but compounded even further by the fact that Marty and Denali (pictured climbing to Camp 2 last Thursday [July 18]) - who were great people that we all got to know very well in the close knit community of K2 Base Camp - were very well known, highly experienced and extremely strong mountaineers, the last people many would expect to be killed on a mountain."